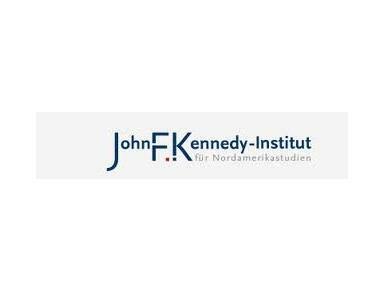 The John F. Kennedy Institute is renowned for its innovative interdisciplinary research as well as its rigorous study programs. Founded in 1963 by the political scientist Ernst Fraenkel, the institute is dedicated to the study of the United States and Canada in all its facets. The seven disciplines brought together at the institute, the numerous scholarships and exchange programs which it sponsors in addition to its world class research library create a unique academic environment. Disciplinary diversity and in-depth intellectual inquiry lay the foundation for excellence in research and teaching. Over 700 students are currently enrolled at the institute and participating in the programs offered by the seven different disciplines which the John F. Kennedy Institute brings together: Culture, Literature, Linguistics, History, Political Science, Sociology and Economics. Courses are held in both English and German. In addition to providing students with rigorous training in individual disciplines, interdisciplinary courses pursue questions which transcend traditional disciplinary boundaries.